“Think about your food.” If you take away one thing from this piece, Nutan Bala wants it to be that. The effervescent owner of Nutan’s on Home Street has a passion for living well that permeates every part of her being. Whether it’s food, philosophy, ethics or happiness, Bala is conscious of the healthiest course of action and sees it into the world as best she can. 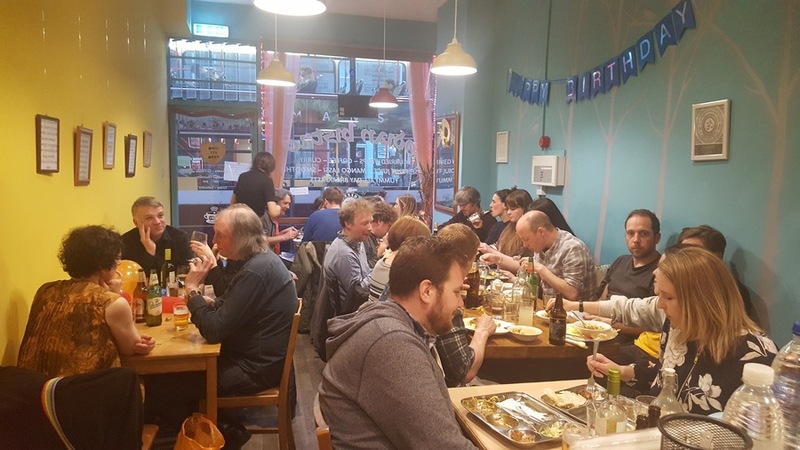 Bala opened Nutan’s in 2015 after relocating to a bigger location from her first culinary venture, Bollywood the Coffee Box, which opened in 2011. Initially, she didn’t regard Bollywood as a business; rather, she considered it a way to “just have fun and get to know more about people”. One reason Bala moved to a bigger space was that she felt bad that her customers had to eat outside if the weather turned. Storage was also an issue, she says, so moving to a bigger location with seating was the best option for the restaurant. Plus, the bigger space “makes it easier for me to play around!” she laughs. In fact, Bala has a well-developed philosophy about food: She says food “shouldn’t just fill you up; you have to consider what you are getting in return.” She continues: “Food is nourishment; it gives energy and life – food is bloody life!” It’s because of this respect for what we consume that she implores people to think about what they're eating. 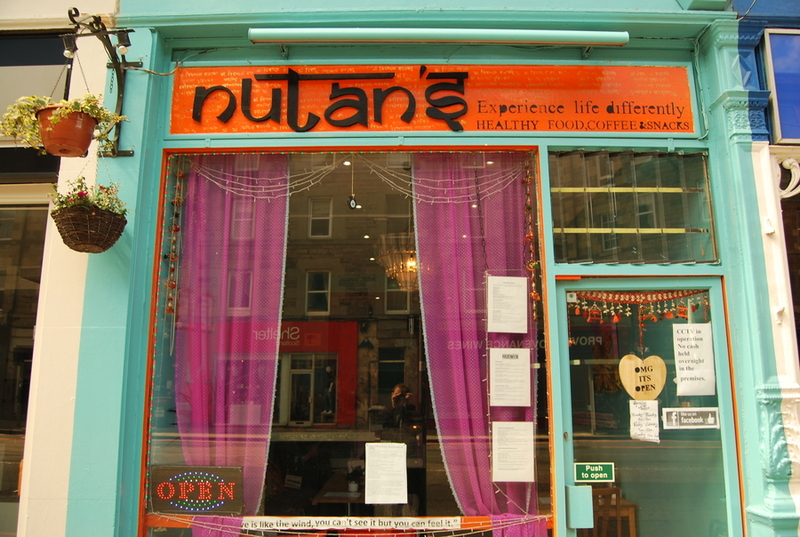 In regards to her own food at Nutan’s, Bala says she won’t claim to be “the best cook” – but she believes that if she cooks with “love, kindness and good intention”, her dishes will satisfy her customers. In fact, many of her current customers followed her from the Coffee Box. Perhaps this is also because Bala loves to bring people happiness, which she says is the most rewarding part of running a restaurant. 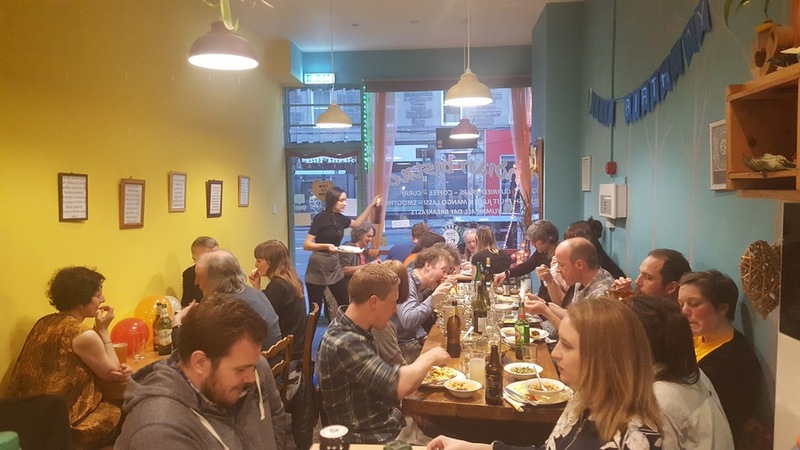 Bala not only considers her customers’ wellbeing; she is also conscious of her impact on the environment as well, which is why she’s committed Nutan’s to being a zero food waste restaurant. “I respect the resources of this universe, for myself and for generations to come,” she says. But ethical and wholesome food is far from this restaurant owner’s only driving ideal. 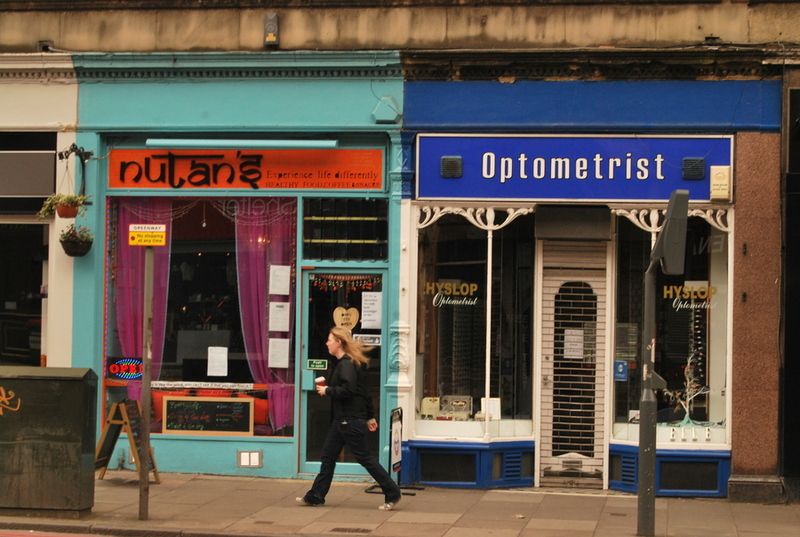 Bala originally came to Edinburgh to study at the Edinburgh College of Art, where she earned her second Master’s in sculpture in addition to her BA and first MA in the same discipline. Though she now draws more than she sculpts, she says there’s “something special about creating something in a 3D space”. We would argue she has sculpted something special in the space at Nutan’s. Throughout the course of our time together, she divulges many of her personal philosophies, one of which is that “every human has a role to play, and it’s up to the person to decide what they want to contribute”. Bala says, “food is my ultimate contribution”, and she feels she fulfills her role whenever she sees a clean plate. Our chat with Bala flies by in a flash. This wouldn’t come as a surprise to anyone who’s met her, as they know what a joy she is to talk to. Through her brilliance and dedication, Bala has made her restaurant an extraordinary place to nourish your body, mind and heart.